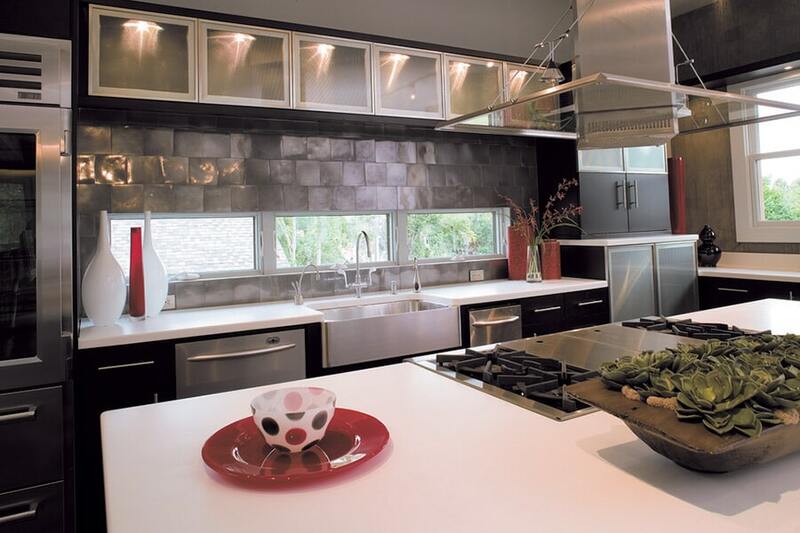 Since metal tile is not a commonly used product, many homeowners are unaware of its amazing characteristics, features, and benefits. 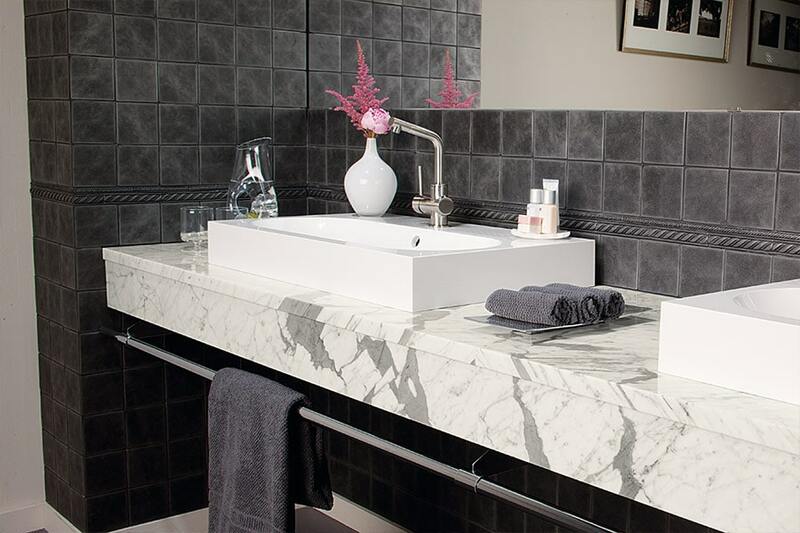 What’s more, it looks to be a design trend that has staying power, so we project you’ll be seeing a lot more of it in the future. Used to add a wonderfully unique spark to any home, it offers the ability to create a truly customized room. At Sherlock’s Carpet & Tile, our more than 40 years of flooring experience is proudly offered to each and every one of our customers at our Orland Park, IL showroom. From there, we serve the areas of Homer Glen, Tinley Park, Frankfort, New Lenox, Orland Park, and Palos Park. With our dedication to complete customer satisfaction, we invite you to visit us and allow us to help you with your own flooring project. We offer a wide selection of flooring materials and supplies, as well as a wealth of services that will help create the most unique experience possible in flooring. 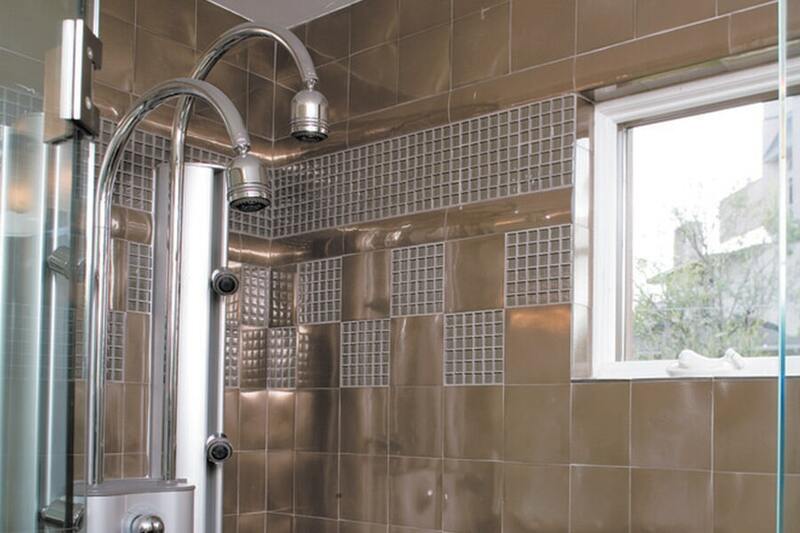 Much like other types of tile, metal tile comes in many sizes, shapes, colors, and textures. One of the most sought after features of this product is that it can be purchased as single color sheets, mixed color sheets, or a gradient. Once gradient is installed, you’ll experience an amazing effect of color fading. There are far more appearance options, however, and you’ll be able to find exactly what you’re looking for. 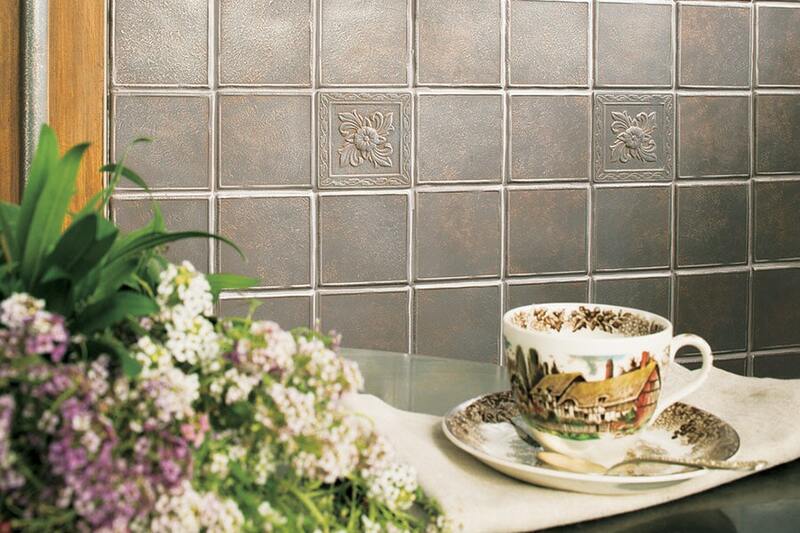 The non-porous characteristic of metal tile means there is no absorption of any kind. Therefore, no liquids, moisture, humidity, or stains will ever soak into the material. 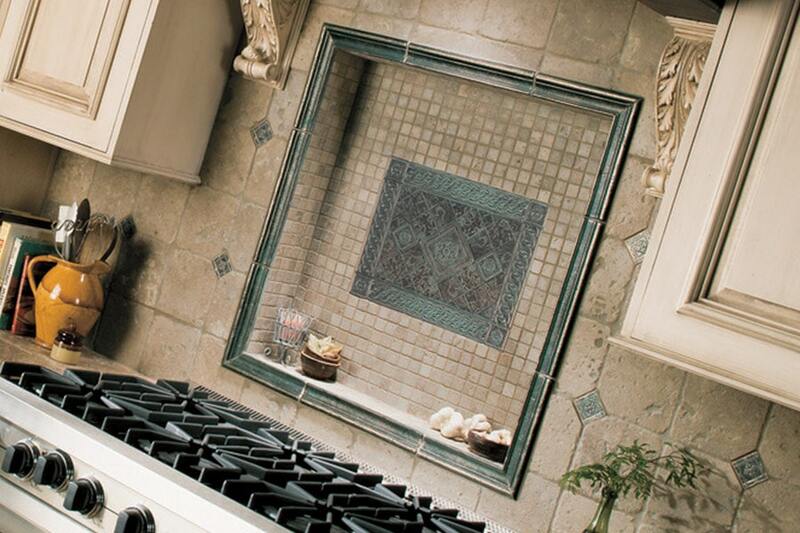 Not only does this mean you’ll be able to easily clean and maintain these tiles, but they won’t deteriorate as easily as a result of everyday wear and tear. 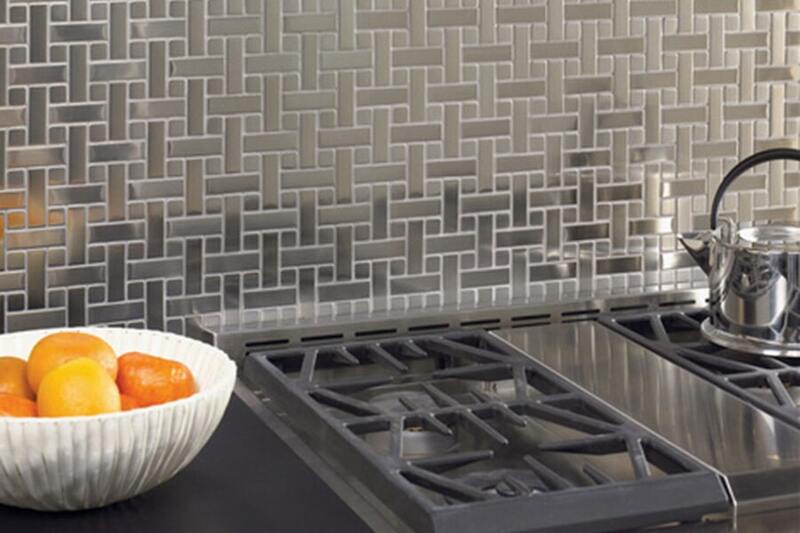 A benefit that makes metal tile an excellent choice for small spaces is the way it reflects light, creating the effect of a larger and bright space. Mixing this characteristic with a mosaic effect can create a conversation starter that turns get-togethers into something special. 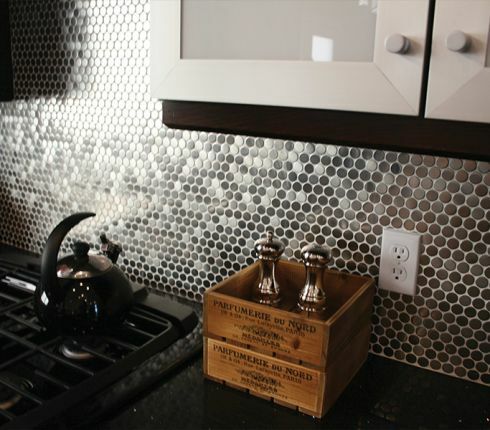 Of course, you would expect to use these products as a backsplash in bathrooms and kitchens, but there are other uses that mean just as much. Use them as borders, fireplace surrounds, bathrooms walls, and so much more. You’ll be amazing by the joy this beauty can bring to your rooms.